‘Wild About Nature’ is a lecture series at the White Salmon Library that runs through the month of April. Produced by Joy Markgraf, you can experience a lecture by noted natural science experts each Friday evening at 6:30pm. I am beyond thrilled to have my photography included in this year’s event. 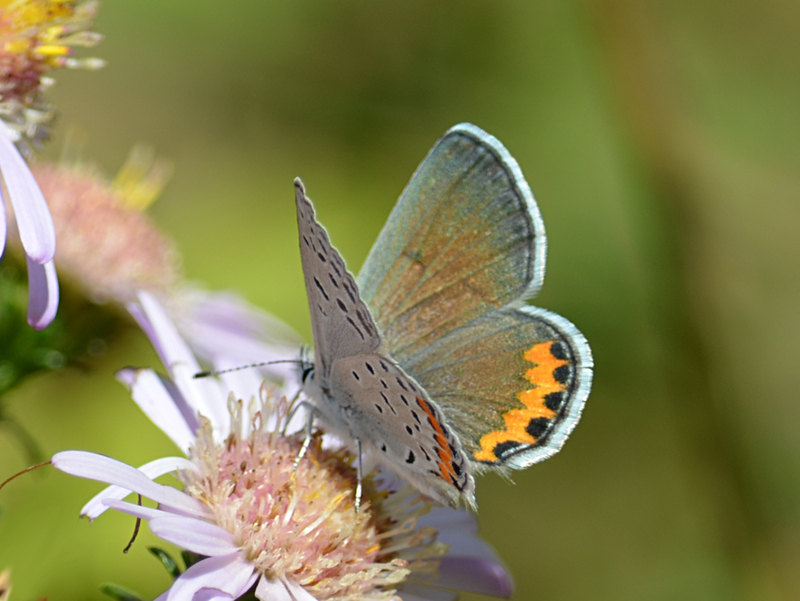 This coming Friday, April 8 Rachel Suits, an Education Program Assistant for Master Gardeners, Small Farms, and SNAP-Ed at the Hood River and Wasco County Extension Service will speak about the ecological impact of insects. Lisa Wilson, Refuge Manager for Columbia, Conboy Lake and Toppenish National Wildlife Refuges (and a favorite of mine) will follow with a lecture about wetland restoration. On Friday, April 15 an eleven-year-old (!) activist, Dae Dahlquist will eloquently speak about climate actions and issues. Following Dae is Jake Jakabosky, who has had a life-long involvement with the natural world, both personally and professionally, working for the U.S. BLM for 28 years. passion is telling the stories of Oregon’s landscapes and geologic history will speak about waters and rivers, a history of sculpting the Columbia River Gorge. The last Friday, April 29 we’ll hear ‘For Love of Aspen’ a lecture by Steve Strauss, a Distinguished Professor of Forest Biotechnology in the Department of Forest Ecosystems and Society at Oregon State University. Also speaking is Burke Greer, a PhD student working with Strauss at OSU who is studying Rocky Mountain aspen in relation to climate change. 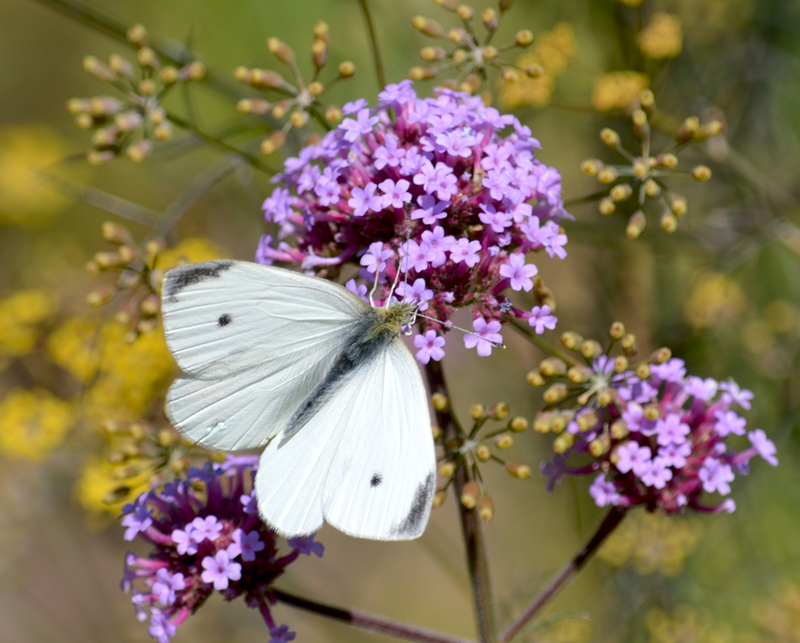 ‘Of Books, Birds and Butterflies: All About Nature Writing’ by Robert Michael Pyle, a lepidopterist, writer, teacher and founder of the Xerces Society is the grand finale. The first Friday (sorry, already past) I thoroughly enjoyed an introduction by Jeremy Takala, a Columbia River Native American, Rock Creek band of the Yakama Nation, currently employed with the Yakama Nation Fisheries Program. Bill Weiler, a wildlife biologist and habitat restoration consultant who founded the Columbia Gorge Ecology Institute had me on the edge of my chair as he discussed Cougars. Although I’ve seen one in my neighborhood, it was long ago and I did not have a camera with me. 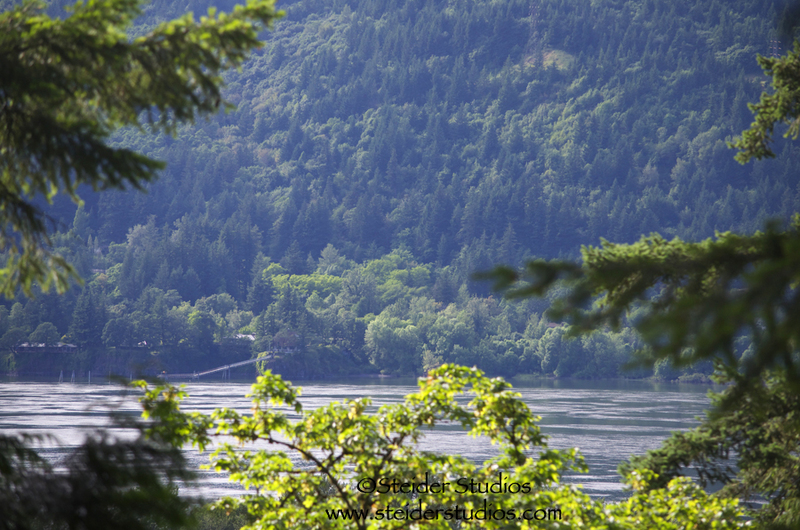 If you’re a Gorge resident, I hope to see you at the White Salmon Library each Friday night. Yes, I will be there for all the lectures, it’s a wonderful event!! Thanks to Joy, there is also a lovely display of natural history as you enter the library. For more information you can call the library at 509.493.1132. I’ve played with photography the last few years and have turned many photos into note cards to sell. You can click the corresponding links to read more about each card. 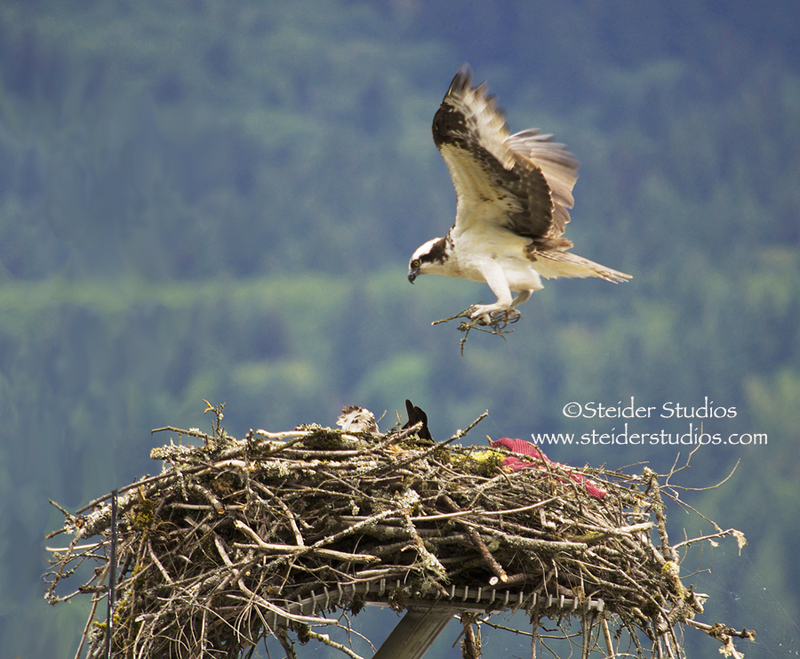 This osprey was building a nest along the Columbia River near Multnomah Falls. 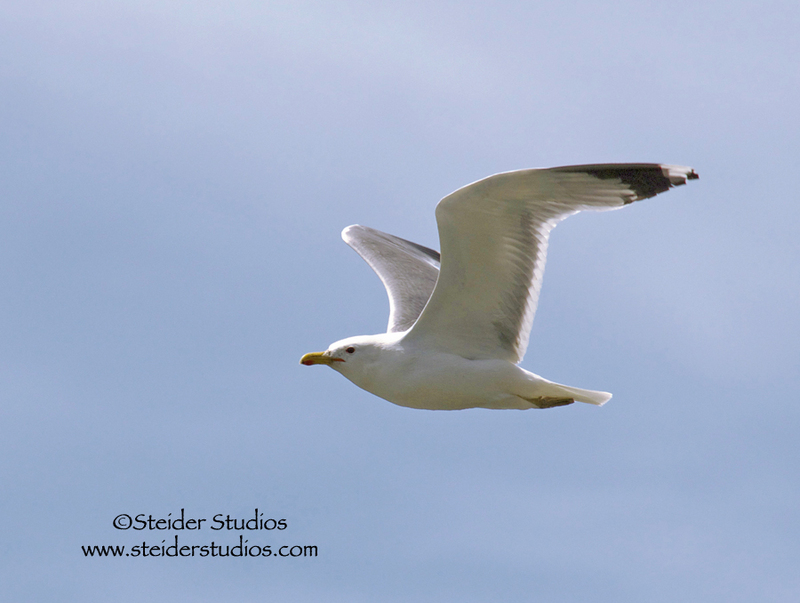 I love the challenge of capturing birds in flight. 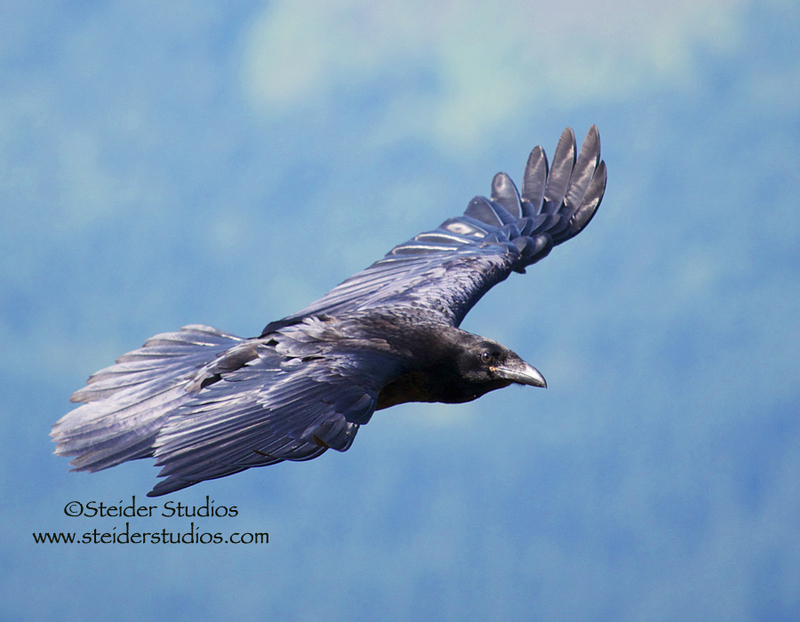 This raven was flying near a path I often hike. 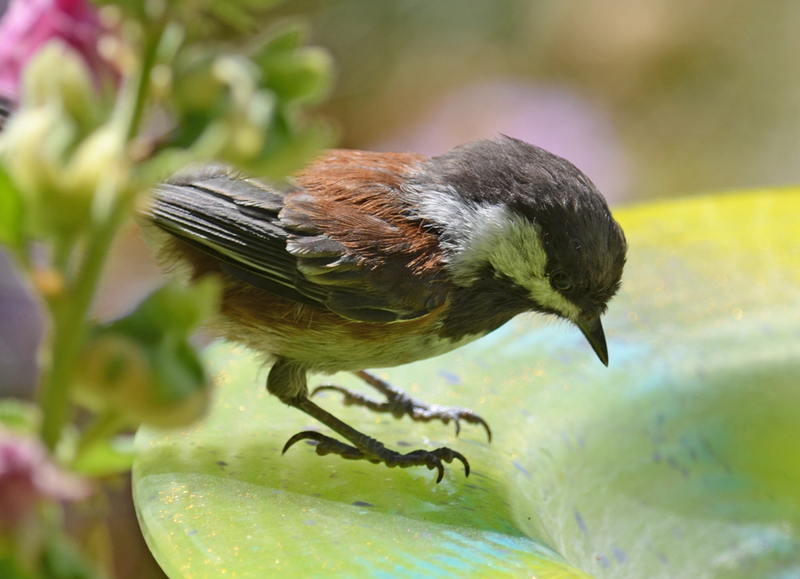 I also like capturing birds in my garden. 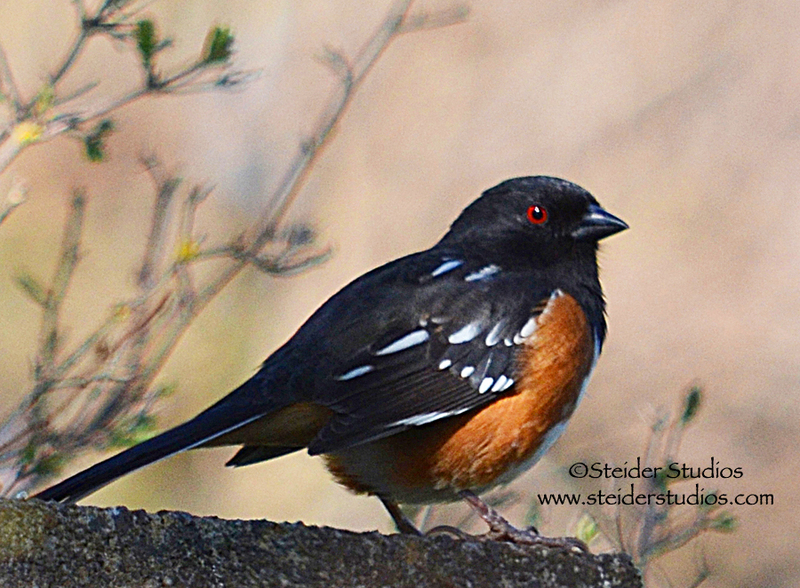 The Rufous sided towhee is difficult to catch standing still like this. 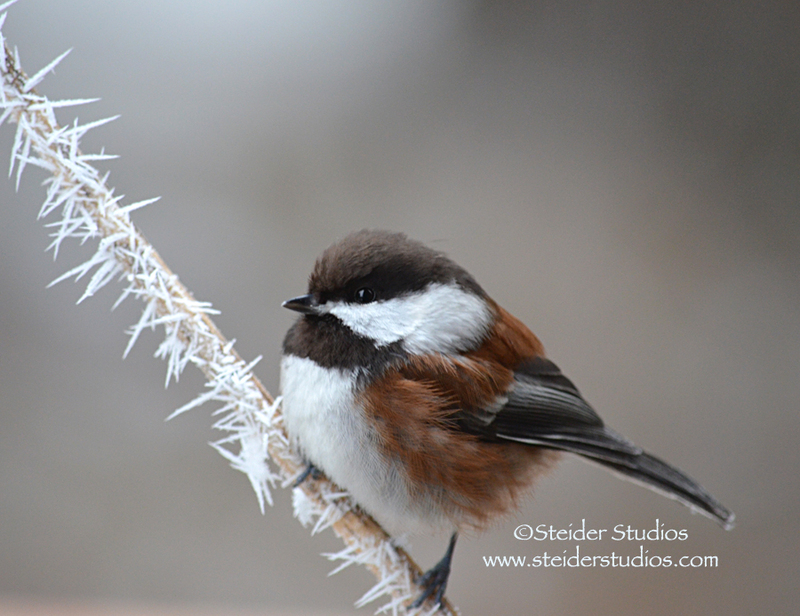 I love the texture of this little chickadee’s feathers as he perched on a branch covered with hoarfrost. 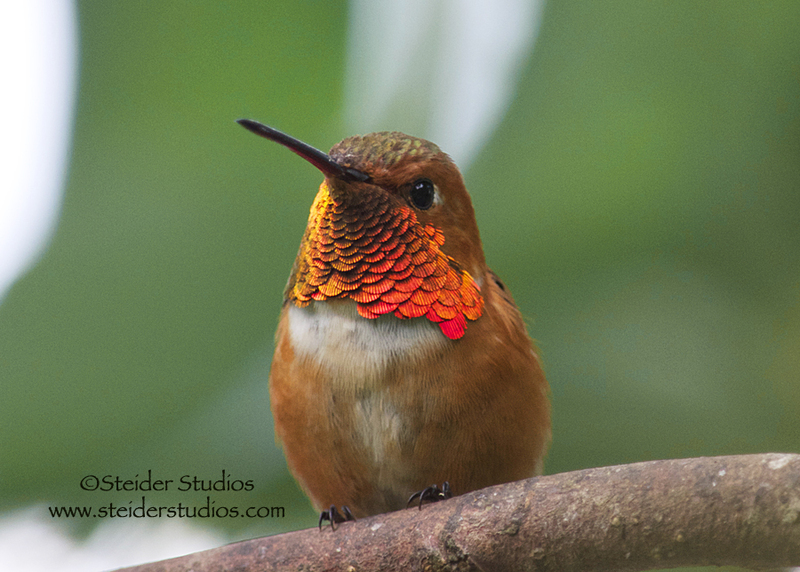 One of my favorite bird challenges is capturing hummingbirds in flight. 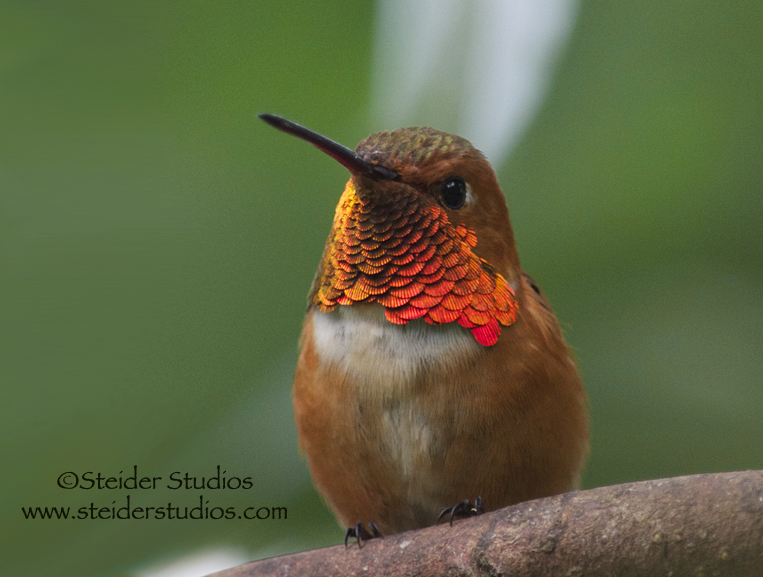 In flight or resting, this little Rufous was too colorful to pass up! 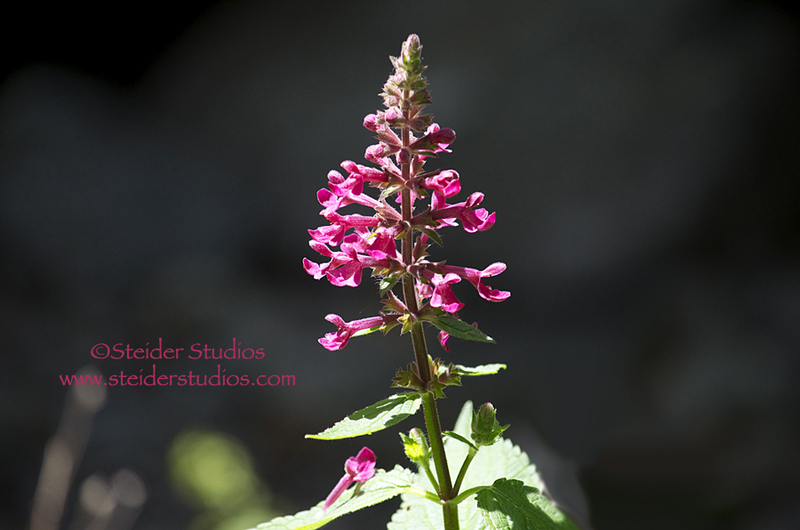 I love capturing all of nature, not just birds! 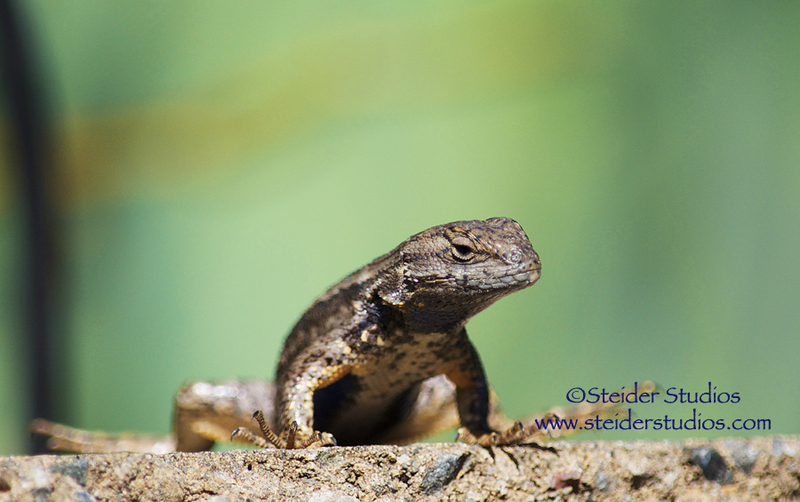 This lizard with attitude suns himself on my stone wall. 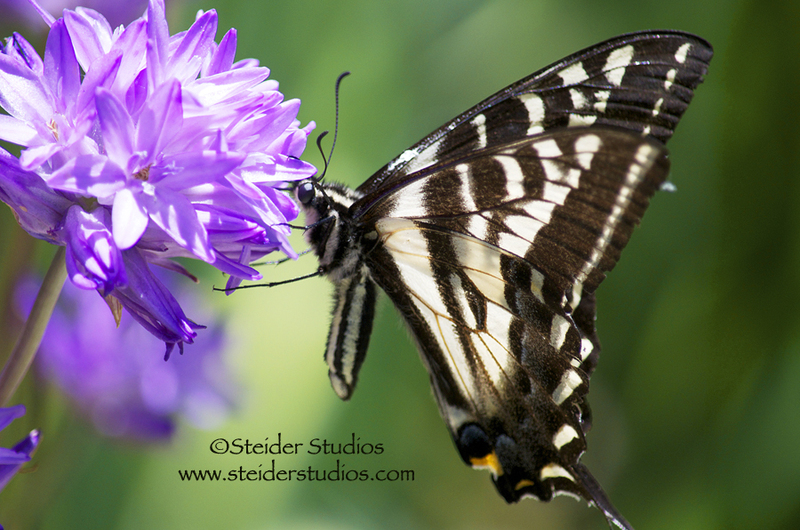 Butterflies are just as amazing to me as birds and I’ve learned so much about them through photography. 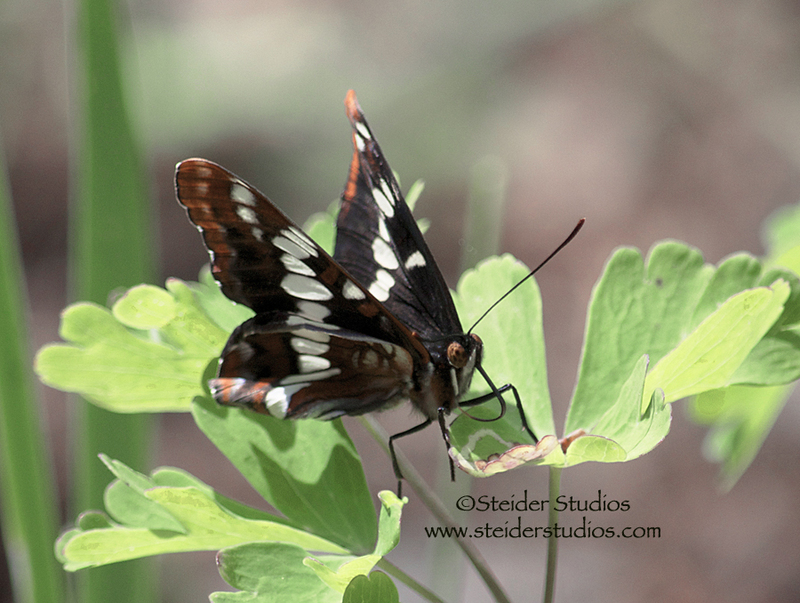 This Northern Checkerspot is a rare find in my garden. 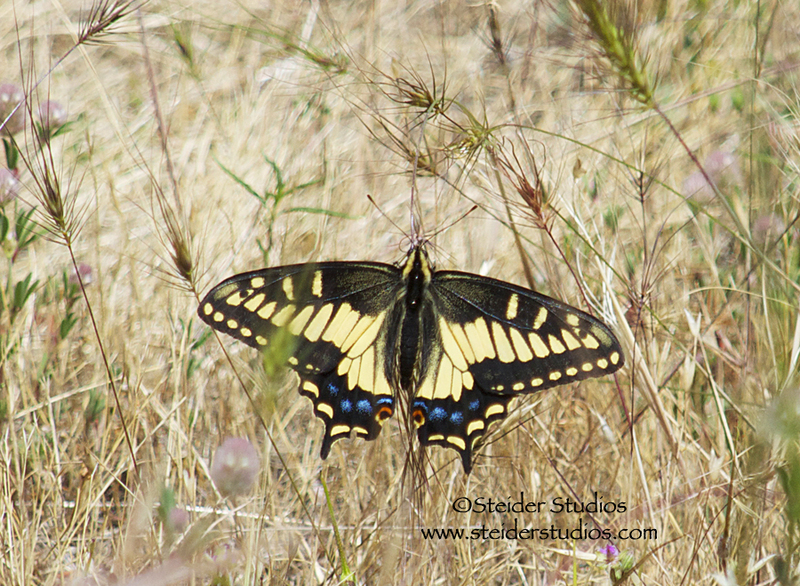 Tiger Swallowtail butterflies are the largest I’ve seen in my Northwest garden. 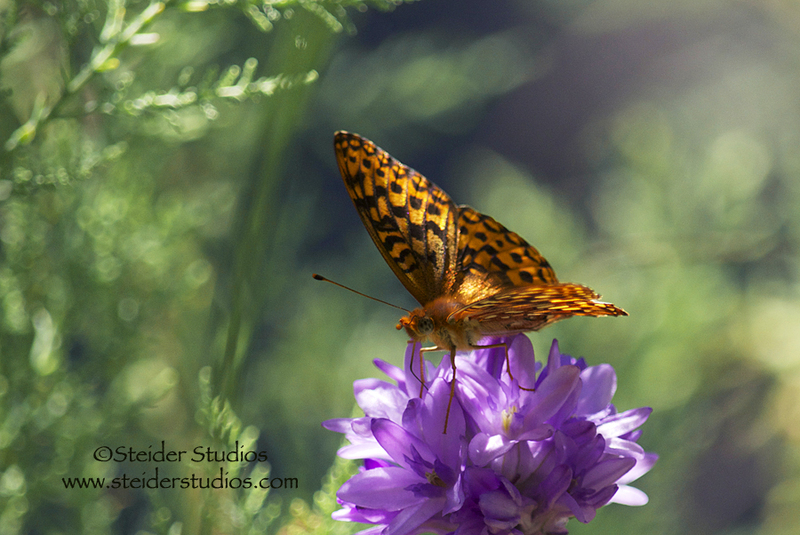 Fritillary butterflies are among the smallest with an approximate one inch wing span. I grow many plants to attract flying critters, so while I’m waiting for them to arrive I also love photographing my flowers. 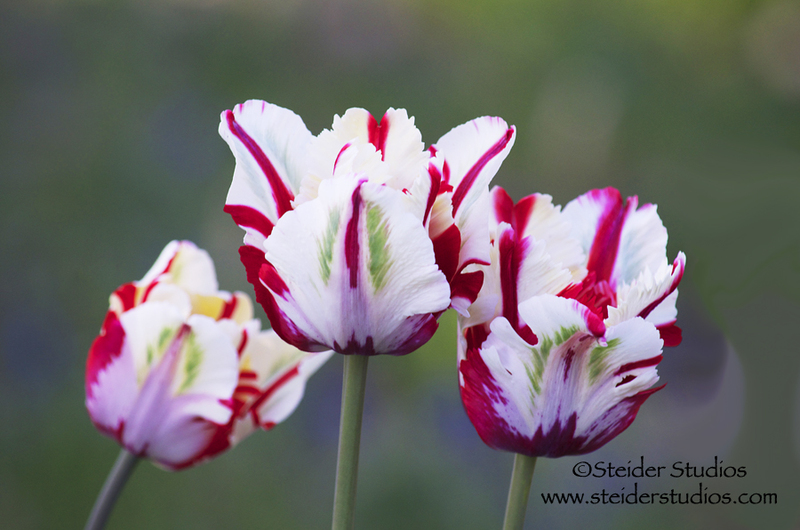 A trio of Parrot tulips is among my favorite botanical photographs. Wildflowers also grow in my garden from reputable seed and breeding folks. 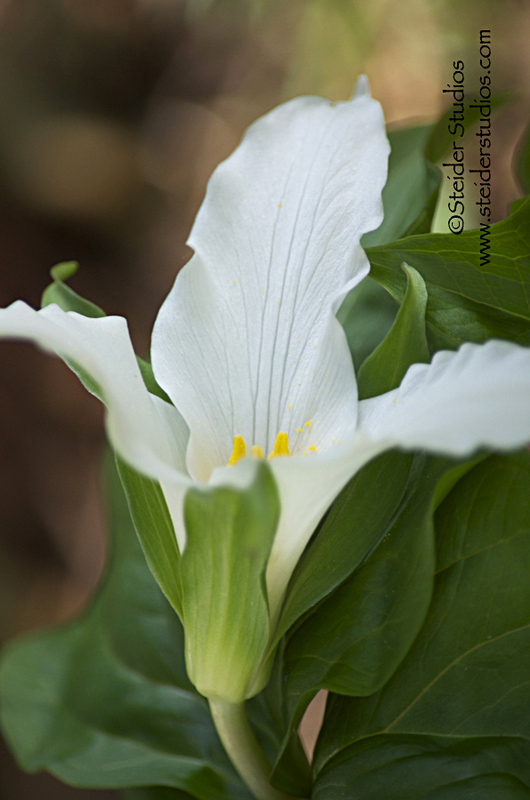 I used to have a large collection of Trilliums but mostly my white-flowered patches continue blooming each year. Grass widows grow naturally on my property. As they slowly increase, I divide and spread them throughout my garden. What an extraordinary flower, the Bitterroot. 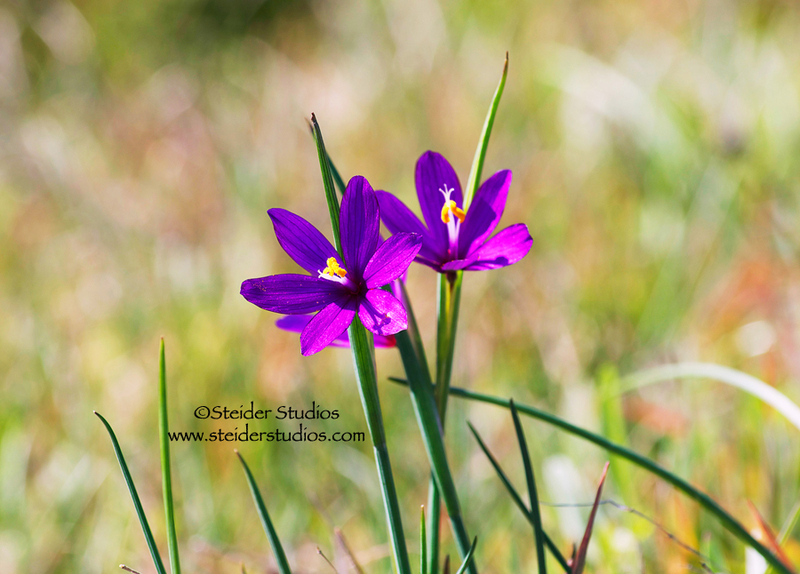 I took this wildflower shot near the Columbia River while chasing raptors. 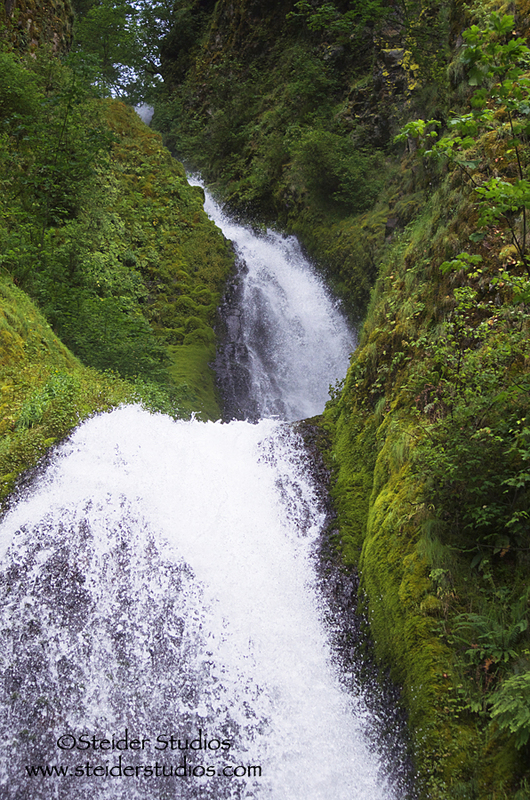 I love hiking in the Columbia River Gorge, you can go from a rain forest to a desert in an hour. 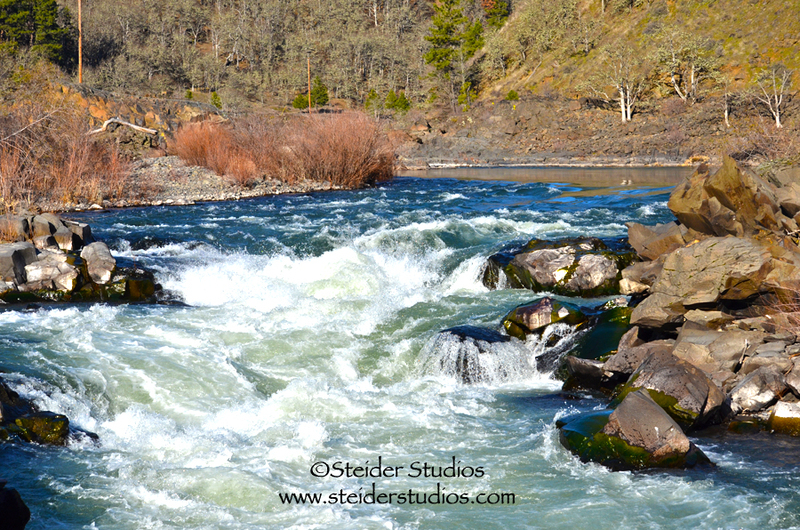 This is a section of the Klickitat River. One of my favorite places to hike is just outside my back door. 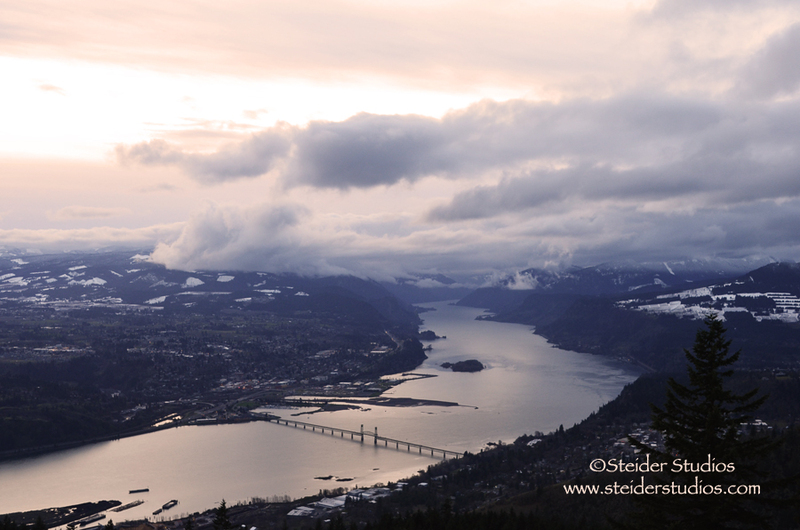 I’ve taken some stunning shots of the Columbia River Gorge from this spot. 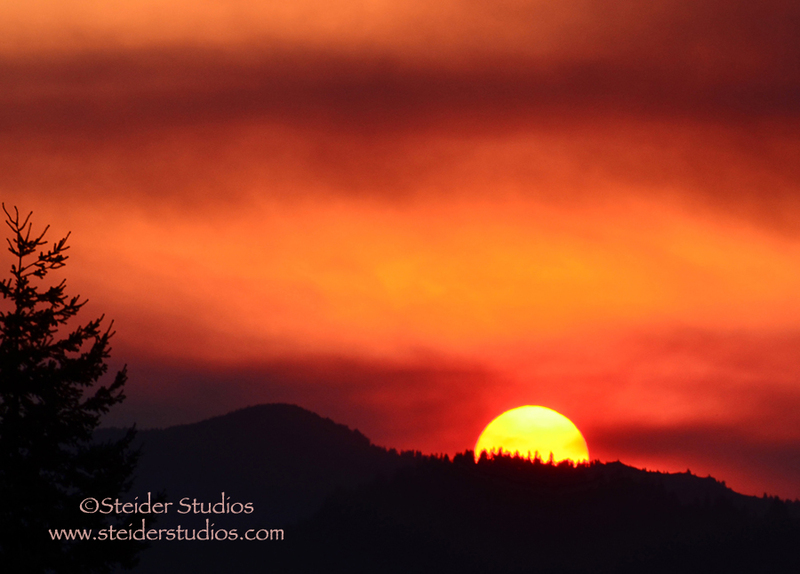 I photographed many sunsets with a filtered red sky from wildfire smoke the last few years. A few of my photos were published in local news media. Another love of mine is trying to catch the moon! 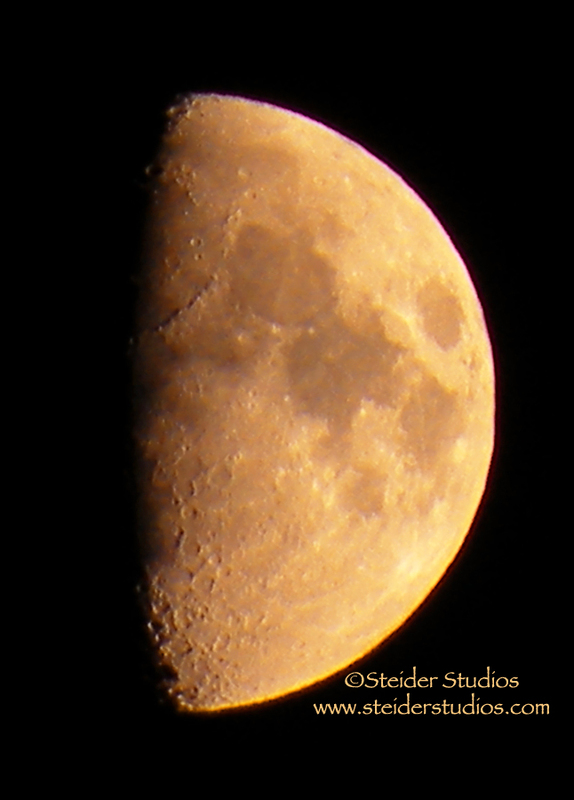 One night my husband called me a ‘Luna’tic as I set up my tripod and I had to laugh because he was right!! Hope you’ll take a look at my cards and if you’re moved to purchase, I’d be delighted. 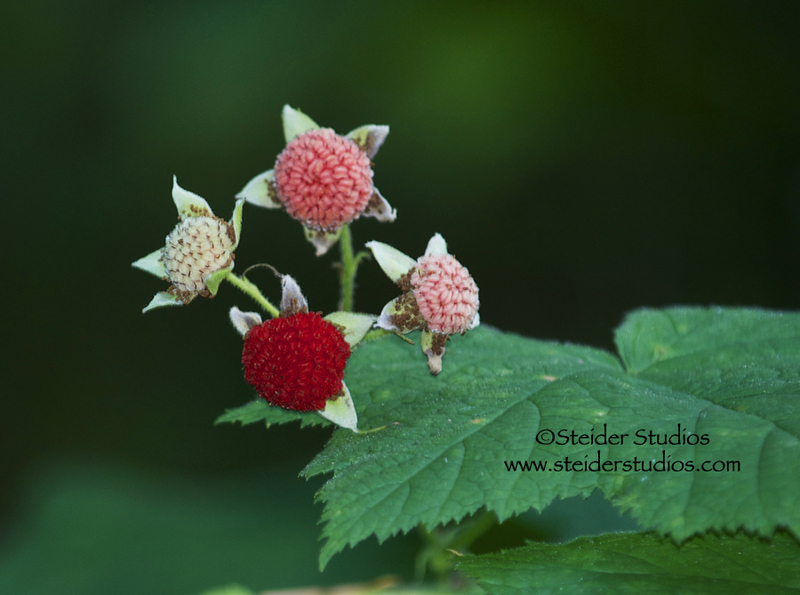 I’m placing them in my Artfire Studio first, then will migrate them to my Zibbet Studio. 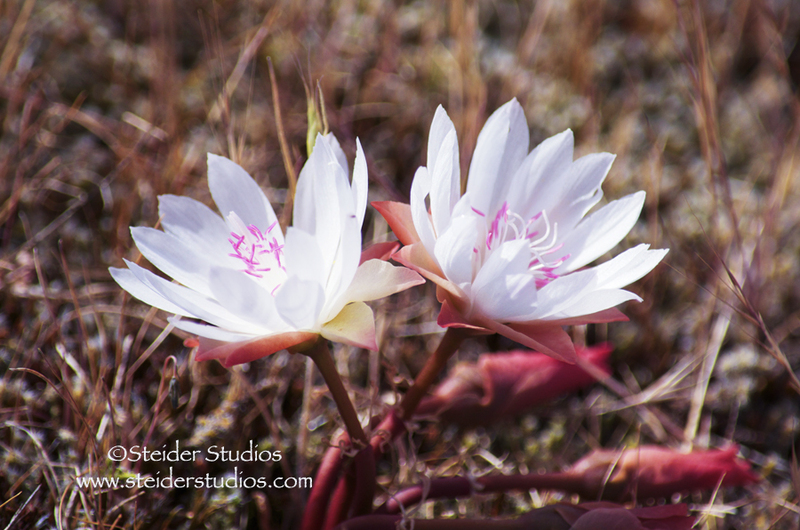 I also have printed many images on canvas and metal – if you’re interested in taking a look at those, check my home decor sections while at either place. Not all my images are listed yet, so if you see a photograph that you’d like hanging on your wall just send me a note with the size you want and I’ll make it happen. To make it easy for you: Zibbet Home Decor happens to have a few more than my Artfire Home Decor, but eventually they’ll both be full! I celebrated the first weekend of summer, my favorite time of year with my East Coast ‘sister-cousin’. 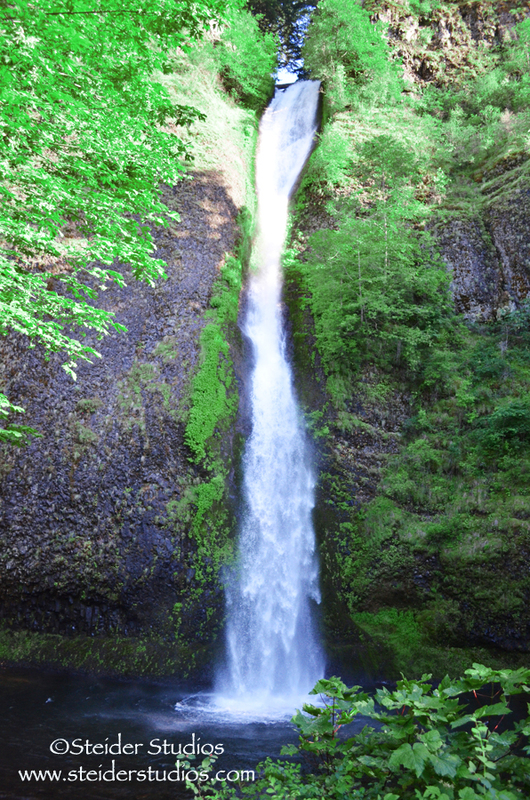 We traversed the Columbia River Gorge waterfalls on our way home from PDX along the Old Highway. 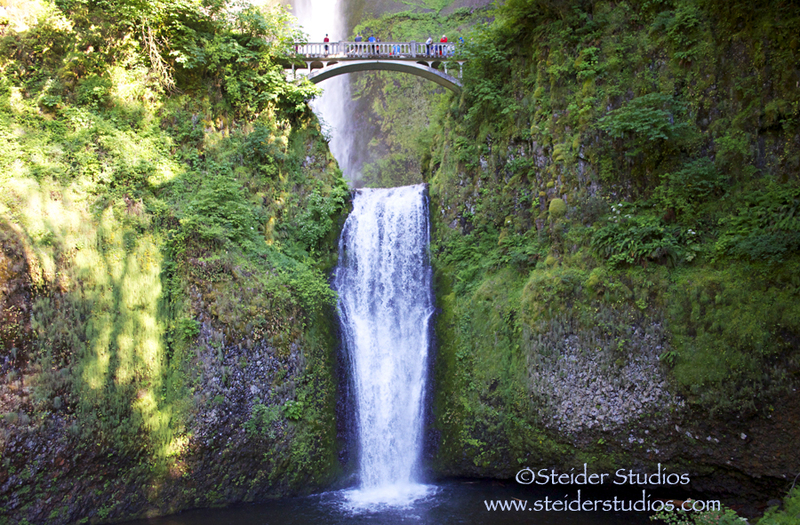 Most people stop at the huge parking lot in the center of Interstate 84 and only see the classic, Multnomah Falls. We took our time, looking for wildflowers, rocks, moss and more. As we hiked, we caught up on family news, made our plans for the weekend and simply enjoyed each other. 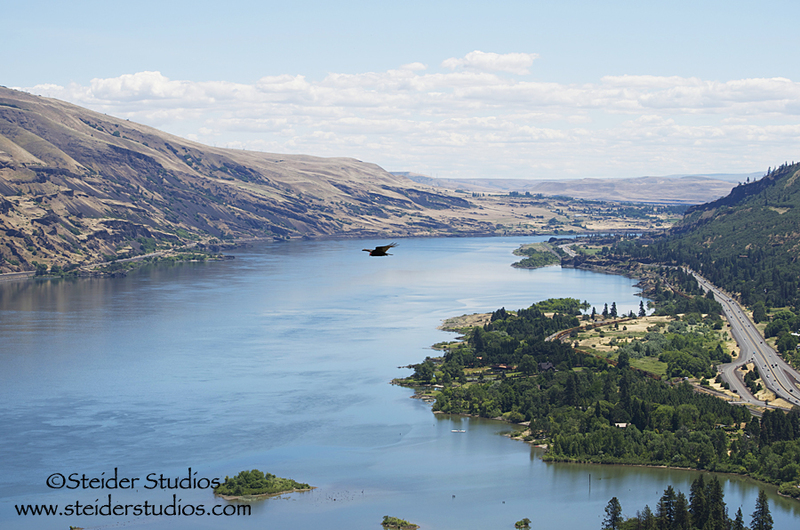 The sun was out on a windless day, making the Columbia River as still as a lake. The following morning we bought from artists and farmers at Saturday Market, then a quick venture downtown Hood River for purchases including books, cards and souvenirs just as shops opened. By 10:30 am we were at the top of Rowena Crest trying to capture butterflies and birds with our cameras. I wanted to show my sister-cousin both sides of the river that I call home and she wanted to see as much wildlife, birds and wildflowers as we could find. 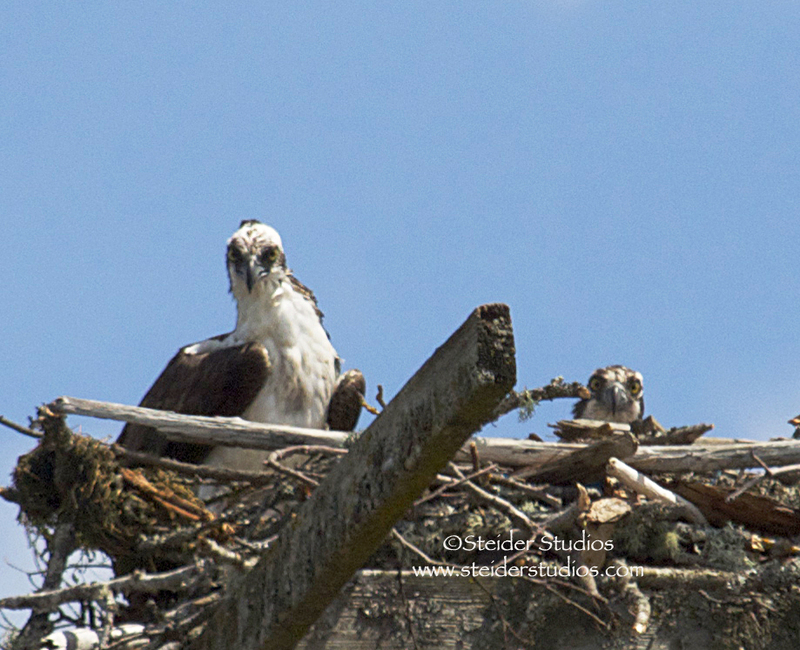 We were on a mission to find Osprey nests along the Columbia. While searching, we practiced on other birds. 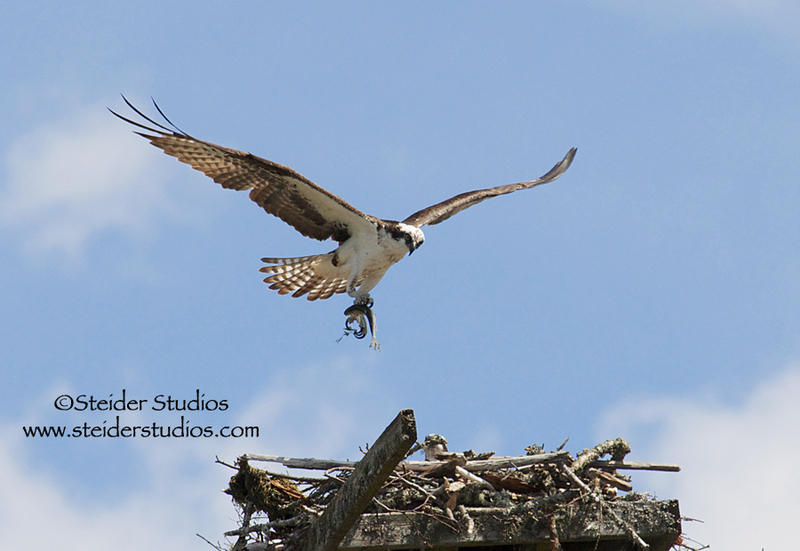 We found a nest at Doug’s Beach and listened to the osprey pair calling to each other. A game officer sent us down the river in search of several nests but this one near Wind River was our lucky find of the day. …or I should say it was the best find of our day. 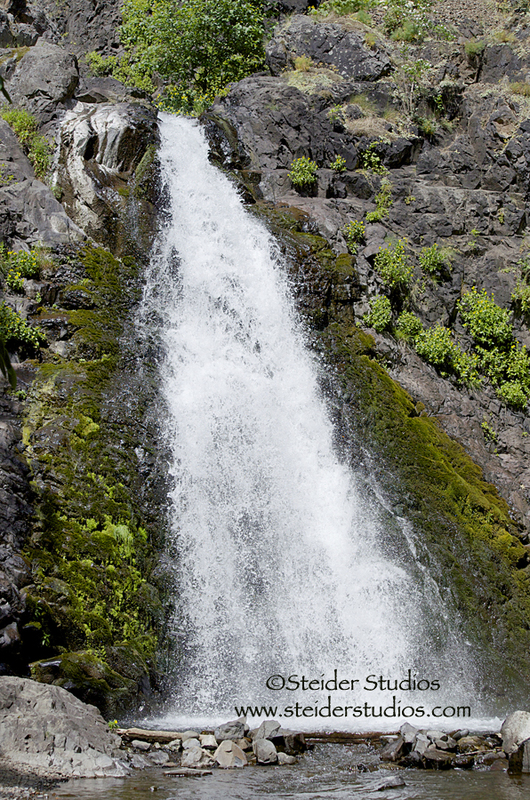 On our way home we stopped at Dog Mountain Creek to photograph the falls. 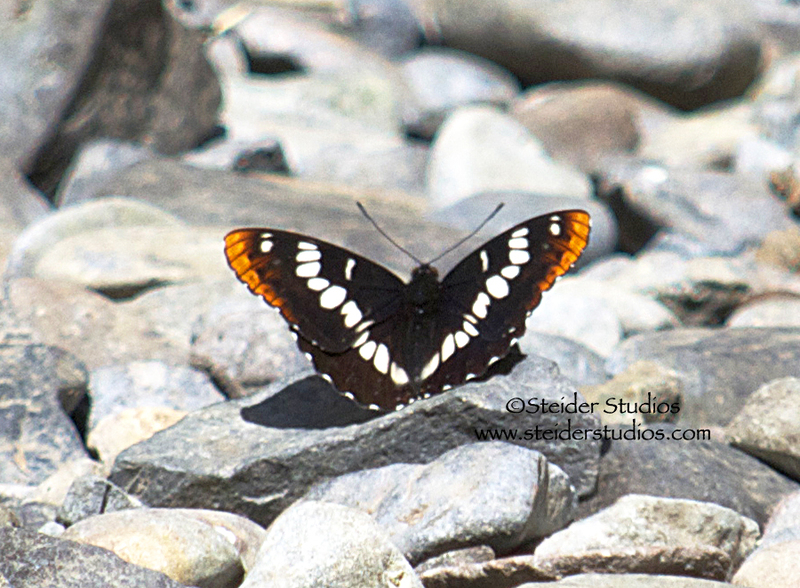 ….and found this Lorquin’s Admiral butterfly flitting among the rocks and creek! 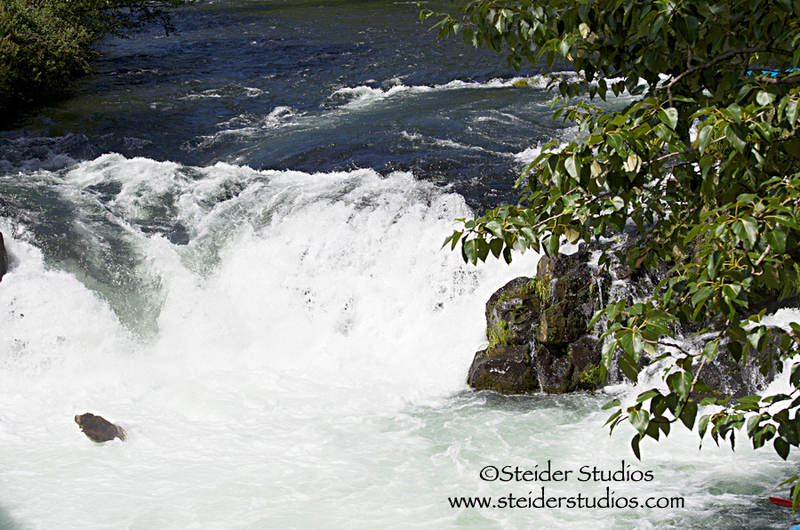 Our last stop was Husum Falls to see how it looks after the Condit Dam removal on the White Salmon River. 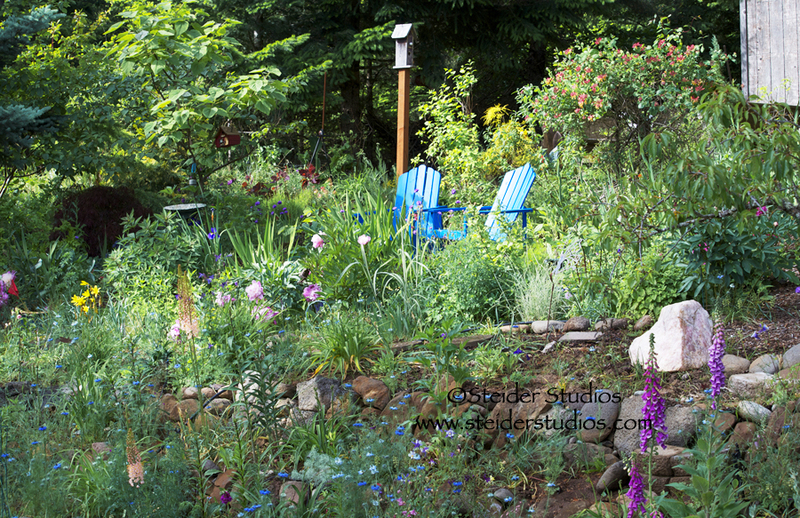 We arrived home in time to catch a few garden shots before our fabulous dinner at Romul’s in Hood River. Our final morning, spent in the garden enjoying bird songs and color. I love my garden this time of year, filled with flowers, birds and butterflies. My sister-cousin wanted photos of hummingbirds and I think she caught a few. 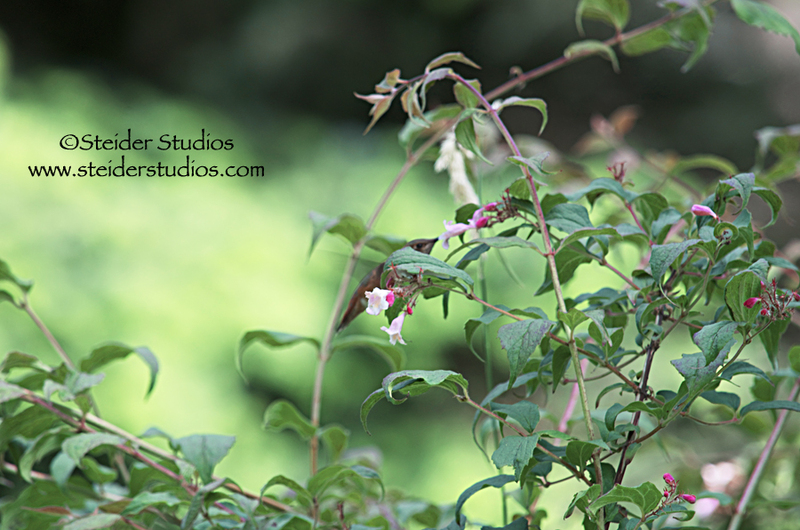 I’ve planted many flowering shrubs and flowers that hummingbirds like. I already miss you sister-cousin, can’t wait until next time…..
As September draws to a close, I wistfully say goodbye to summer, my favorite season. I love the long warm days and relish the time I’ve had to play in my garden. My daily hikes were cut short this month due to high fire danger in my surrounding ‘neighborhood’. 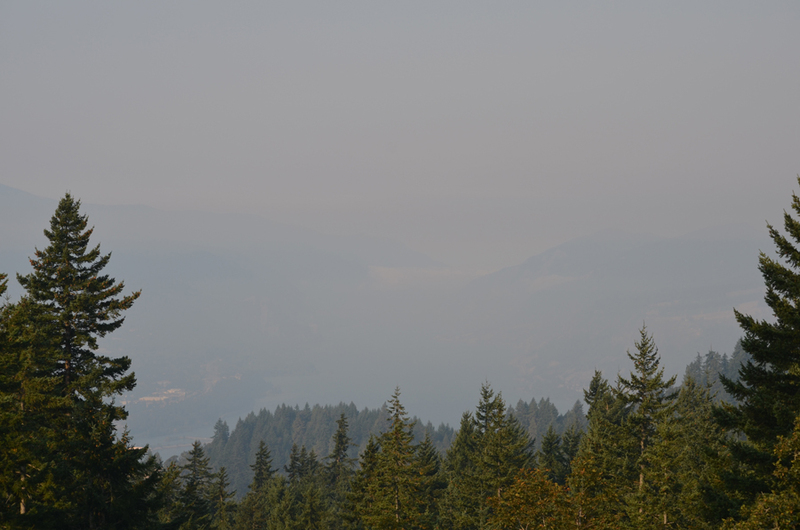 Most days we can still see the river in spite of the smoke. A wildfire on Mt. Adams broke out just after my last post and is still burning. Called Cascade Creek it’s 60% contained entering its fourth week and has burned over 15,000 acres in the Mt. Adams wilderness north of Trout Lake. Started by lightning on Saturday Sept. 8 from a storm that started over 200 wildfires across eastern Washington – Mt Adams wilderness, surrounding areas and trails are closed because of it. 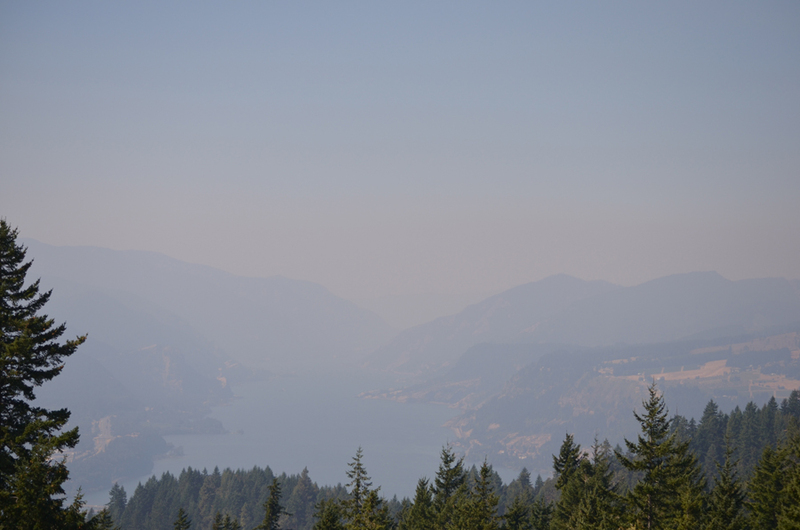 Today we can’t see the river at all due to the smoke from two wildfires near us. 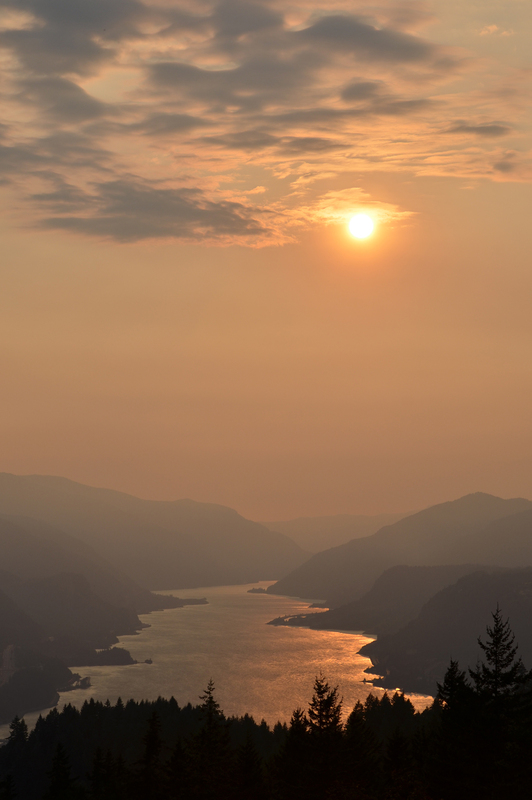 Yet another wildfire began September 25 across the Columbia River between Hood River and Mosier. The smoke from both these fires surrounded us in the Columbia River Gorge for many days, keeping me inside the studio finishing up a commissioned project and starting a new series of earrings. September is also my birthday month and I like to celebrate all month by catering to my every whim…which is mostly just being outdoors experiencing nature! I received a new camera that has given me endless hours of joy while trying to capture butterflies, birds and flowers in my garden. Can you see how much my photos have improved? Soon enough I’ll prepare for fall shows, letting my energy level shift into high gear to get all the ideas from my head turned into glass. Of course, I never get them all off the drawing table, but with so many ideas I don’t think I’ll ever have a day of boredom. Until then, I’ll take advantage of these warm sunny days as long as I can because I’ll have all winter for studio time. Here’s a quick shot of my recently finished commission. 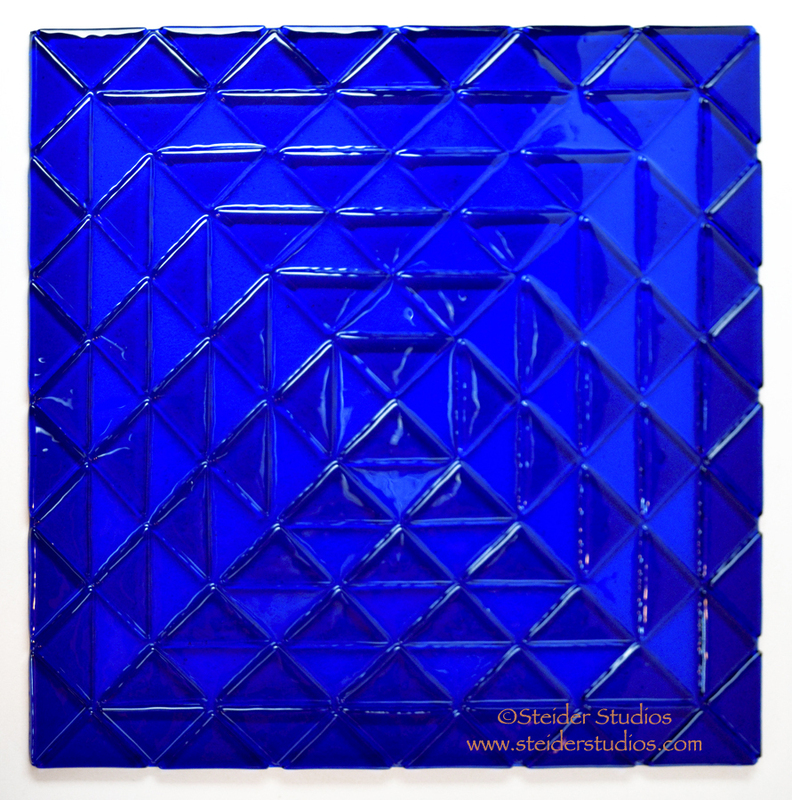 The client wanted monochromatic cobalt blue triangles, specifically arranged in a textured 12″ – 14″ square. A departure from my usual style, but it was fun and I think I’ll do a few more of these in multiple colors and sizes. 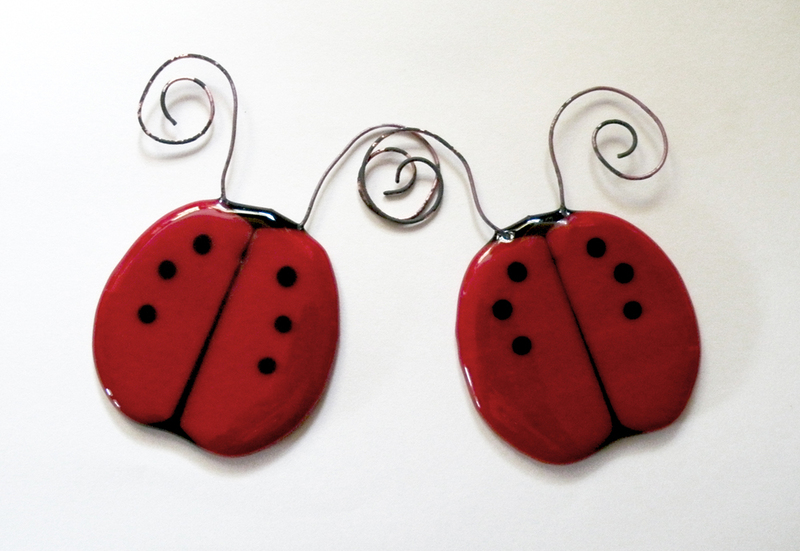 Introducing my new ‘Buggettes’, just in time for the Yard, Garden & Patio Show at the Oregon Convention Center. I’ll be in booth #1481 near the Hardy Plant Society. I have about two weeks left before the show opens on February 17th and always seem to come up with fun new ideas at the last minute! I always start with a sketch. In this case a very simple sketch. Next I make a pattern or template, cut out some glass & stack it up to see if it fits together. I like to make prototypes in different colors to see where my idea might go. 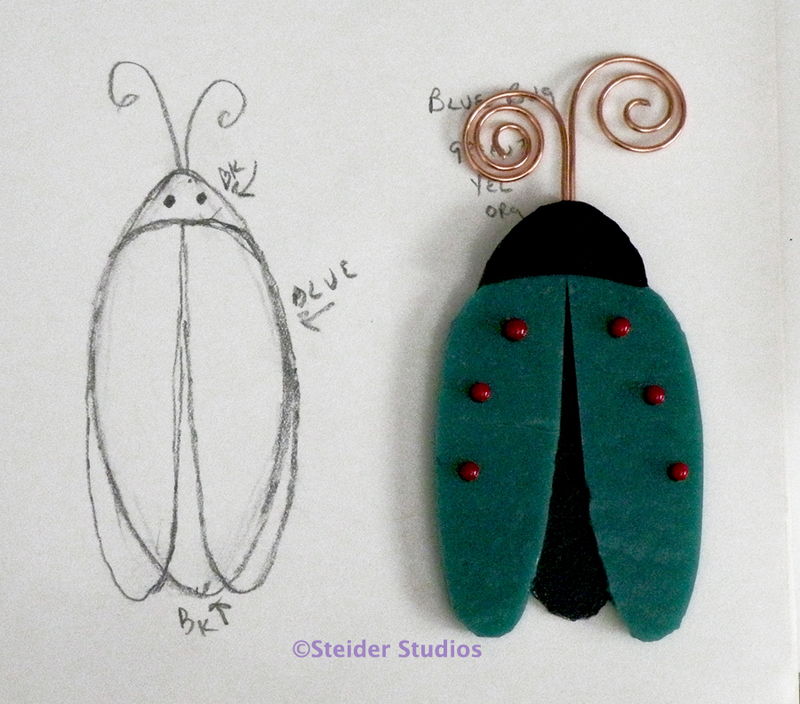 If you noticed my sketch says ‘Blue Bug’, because that was my original idea – Blue Bugs to go with my Ladybugs. But who wants to stick to just one color?!! I loved the prototypes, so started pulling out my stash of pattern bars, pot melt chips, twists, cane, frit balls and everything else close at hand for wing designs. You already know how much I love color. I had to make at least two (in case I want to keep one) of every color I have in each color family. The green group above is ready for the kiln. This group of blue, lavender and plum buggettes, fresh from the kiln is ready to sign, price and pack. The coiled copper antenna is designed to wrap around a small tree or shrub branch so they hang in your garden and mine. …and glass garden fairies. I love these girls! 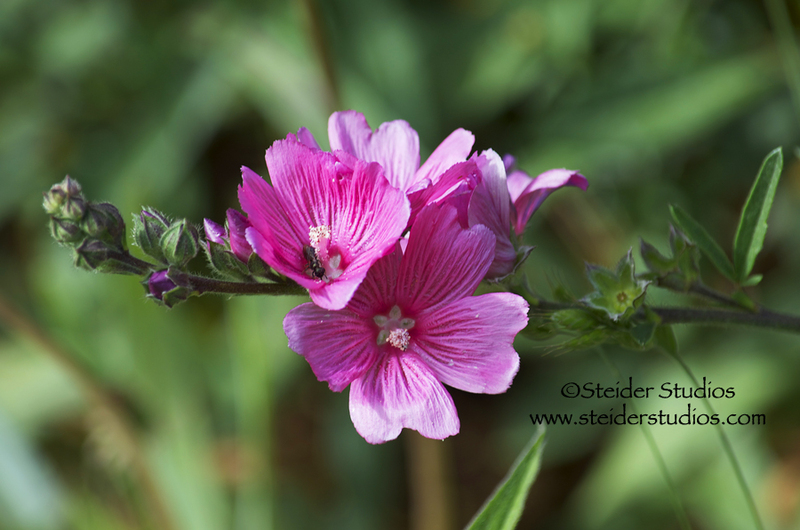 Not only do they provide whimsical color when my flowers fade, but they are full of personality. They might have glow in the dark glass embedded in their wings and they’re all fully finished, front and back. I offer these at $75…I know a bit expensive, but very time consuming to make. Cost includes hair styling, make up and wardrobe! Today I’ll start replenishing my Beautiful Butterflies. 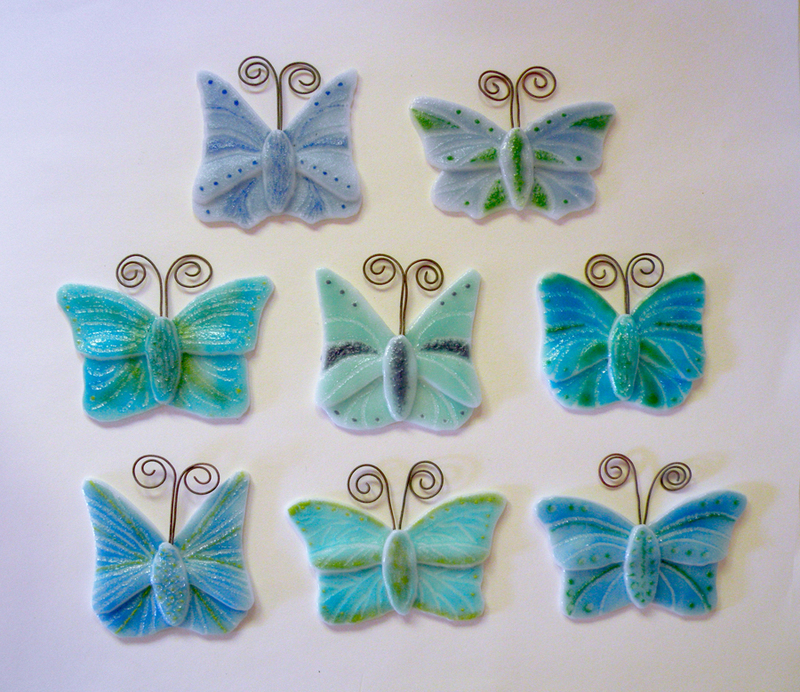 You saw how I make these in my November ’09 post, ‘Butterflies are Free‘. Beautifully detailed and textured, you’ll find these in my booth for $30. 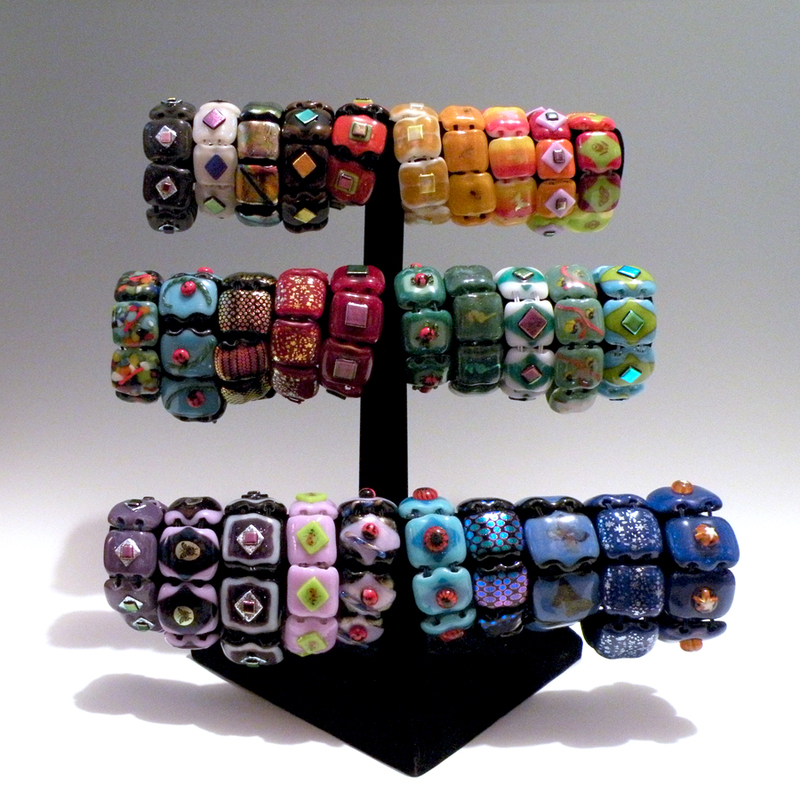 …and of course I’ll bring bracelets from this November 2011 post because I think gardeners will love them! You know my booth will be filled to the brim with colorful glass, all garden related! My booth is near the Hardy Plant Society, #1481, be sure to let me know you read my blog! Oh, and I have discount admission coupons for you! Click the link below & print. The Yard, Garden & Patio Show at the Oregon Convention Center on MLK Blvd, February 17 – 19 (don’t forget I’m in booth #1481). If you like this post, sign up to receive an email for future posts so you don’t miss anything. It’s easy, just click the box at the top right of this page that says ‘Sign me up!’ and type in your email. It’s right under the yellow close-up photo of my work. I am happy to announce my colorful art glass jewelry is now available for purchase at J D Smith Jewelers in The Dalles Oregon. The owner, Jason and I have been talking about working together since last summer. Our schedules finally aligned to make it happen and I couldn’t be more thrilled! Jason has been in the jewelry business much longer than you might think judging by his youthful appearance and ‘with it’ attitude. He has an artist’s eye and it shows when you walk into his fabulous store. If you’re in the Pacific Northwest make a point of stopping in. The last few weeks you know I’ve been preparing for the Glass Craft and Bead Expo. I finally have all the student glass cut up and packed, and everything I ordered has been arriving daily. I am sorry for our UPS driver who has to trudge down my very long driveway through the snow. Everything must be shipped next week, so it will be me carrying it all back up. I’d love to find a few more students for my Beautiful Butterflies class, so if you know anyone who might be interested, I’d sure appreciate it if you’d share this post. 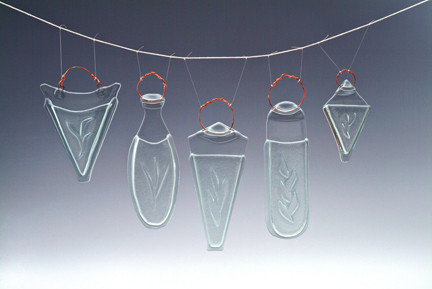 The emphasis will be pattern making, imagery replication and working with powdered glass. 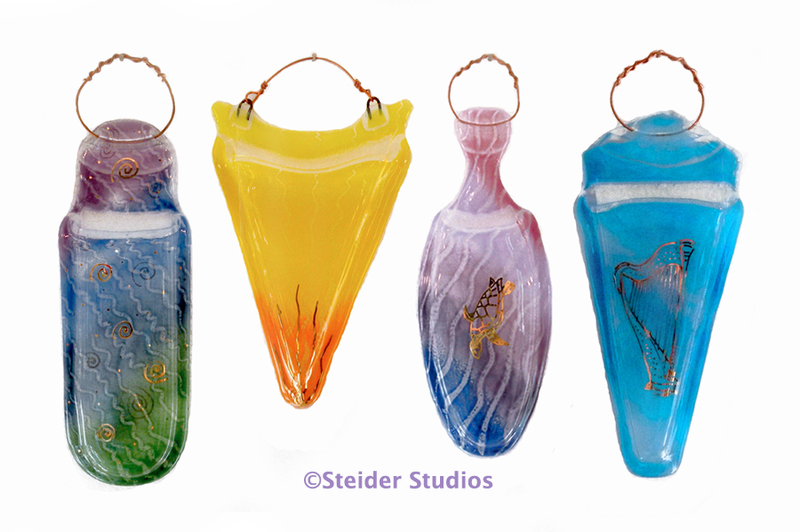 My handmade wall pocket vases are displayed at Good News Gardening in Hood River through the end of this month. I decided to install wall pockets alone instead of including butterflies and ladybugs due to the hanging system. Screw eyes are anchored at the top of the wall and spaced in such a way that my little critters would be lonely so far apart from each other. I do need to go back and fill the vases with flowers, but if you have a chance to try the lunch menu at The Garden Cafe I promise you’ll enjoy it! I finally returned to my ‘Raining Cats and Dogs’ series for The Dalles Art Center’s show “Raining Cats and Dogs and Frogs”, running through March. Perfect, don’t you think? 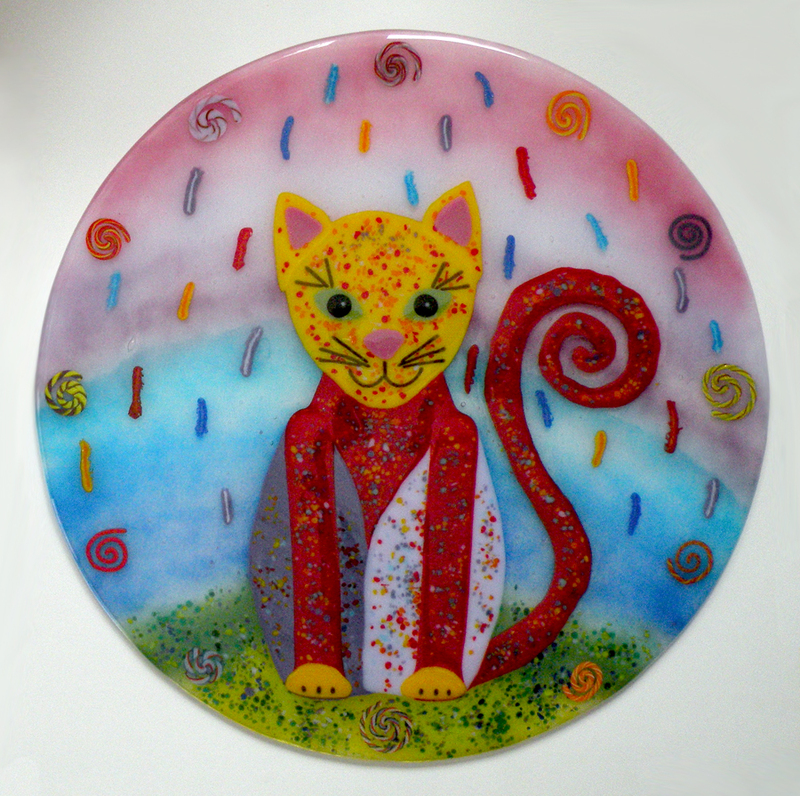 Of course I pulled this 15″ finished platter (photo was taken before slumping) out of the kiln the day before due date! Three sweet little 6″ plates were also fused but not cold-worked or slumped yet. More work for after the Expo. 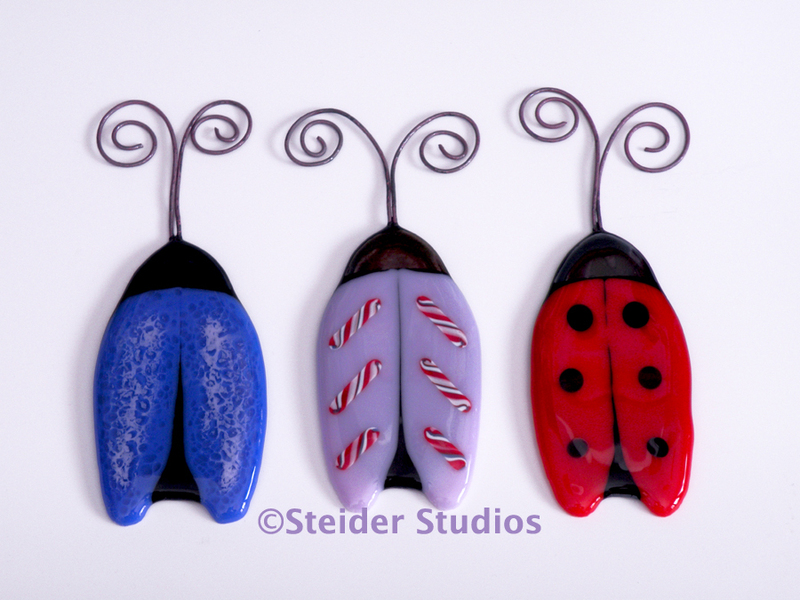 I hope to have them ready for Oregon Glass Guild’s “Glass Gallery” at the end of April. One last note: Lately I’ve had a lot of mica sales in my ArtFire shop, so I’ve moved the mica tutorial that I’ve been slowly polishing from the ‘backburner’ to the ‘get it done sooner’ page. It’s almost finished, I just need better photos…which I’ll take after I clear all the ‘Expo’ paraphernalia out of my studio. Come to the Glass Craft and Bead Expo! 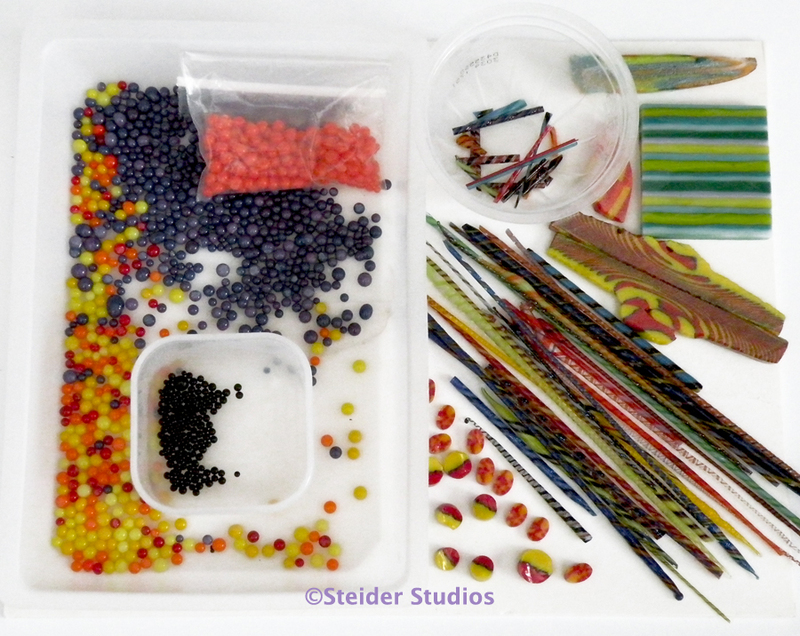 It’s already the first of February and my classes at the Glass Craft and Bead Expo are filling up so it’s time to start ordering equipment and supplies. Glass, check. Kilns, check. Grinders, check. Class supplies, check. What am I missing, it’s too easy this year. I always look for interesting new ways of working with powdered glass and accessories that will enhance student projects. I was the first to introduce dicro slide in my classes and continue to include it. This year I bought some fun murinni from Glacial Art Glass for students to play with and some cool new fine-line laser imagery from Dichroic Alchemy. We always find time to play with chalks, dichro, mica, and more. Play Date with Paste: learn how to sculpt, make pattern bars, and more with wet glass paste, aka glass clay. Very fun. Exploring Glass Powders: an introduction to many ways of working with powdered glass. I’m told this one can be overwhelming, there’s a lot of information to take in just one day. Beautiful Butterflies: create your own imaginative or realistic butterfly from the initial sketch to execution. Includes making your own pattern. Build a Better Pocket: learn how to make your own original design with an assortment of decorating tools. Each year gets better at the Glass Craft and Bead Expo. I love teaching and getting to know each of the people in my classes. I’ve had some truly gifted and talented students and made some great friends. We’re at the South Point again making it ultra convenient to stay, play, dine, wine, and hang with other glassists. March 30th through April 3rd in Las Vegas NV. See you there?